Built c. 1840, this is one of the older houses in the town. It was described by the 2008 architectural survey as "a fine example of mid-nineteenth-century urban dwelling converted to commercial use in the early twentieth century which retains a wealth of original fabric..."
Mrs Frances Hill was its immediate lessor in 18501 and Henry W. Talbot, founder and editor of the Leinster Express in 1831, was her lessee. For more information on Mr Talbot see the page MARKET SQUARE, LOOKING NORTH TOWARDS COOTE STREET in this project. He was succeeded here by Thomas Quigley and John L. Dowling who is listed as a grocer and publican in Slater's Directory of 1870. 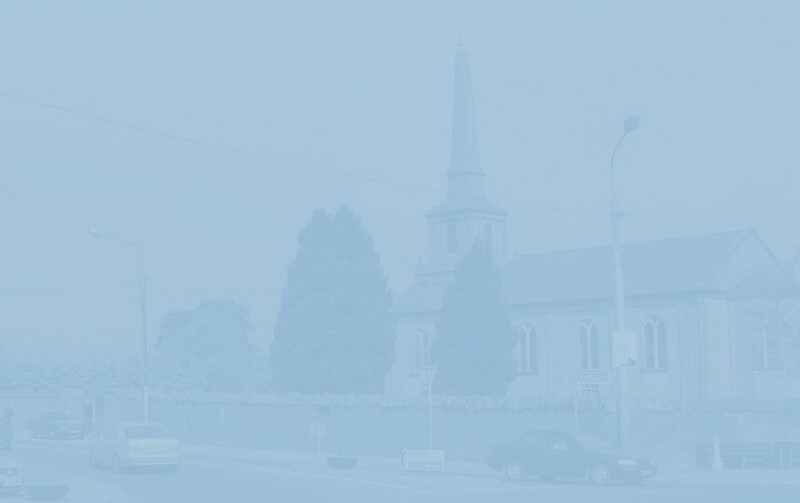 One of the Cancellation Books has Nicholas and Catherine Walsh as occupiers here in the 1870's and '80's and Eddie Boylan also locates their victuallers shop here. But a member of the Aird family - a relation of the Walshes - was of the opinion that the shop was next door. My source materials for this building in the early years of the 20th century are so confusing that, so far, I am unable to provide accurate information. Further clarification would be gratefully received. Selling everything from groceries (Confectionary a speciality), tobacco, cigars and cigarettes to farm and garden seeds, J. J. 'Jimmy' Murray (Select Family Grocer. Hardware and Provision Merchant) was in business here for nearly forty years. He was also a Licensed Dealer for the Sale of Sporting Guns and Cartridges. After his death in 1959, his daughter Mary continued here until the late 1960's when David Finnamore from Ballacolla opened his shop, specialising in fresh produce. He was succeeded by the FBD insurance company on the ground floor and IFAC Irish Farm Accounts Co-Operative Society offices on the second. 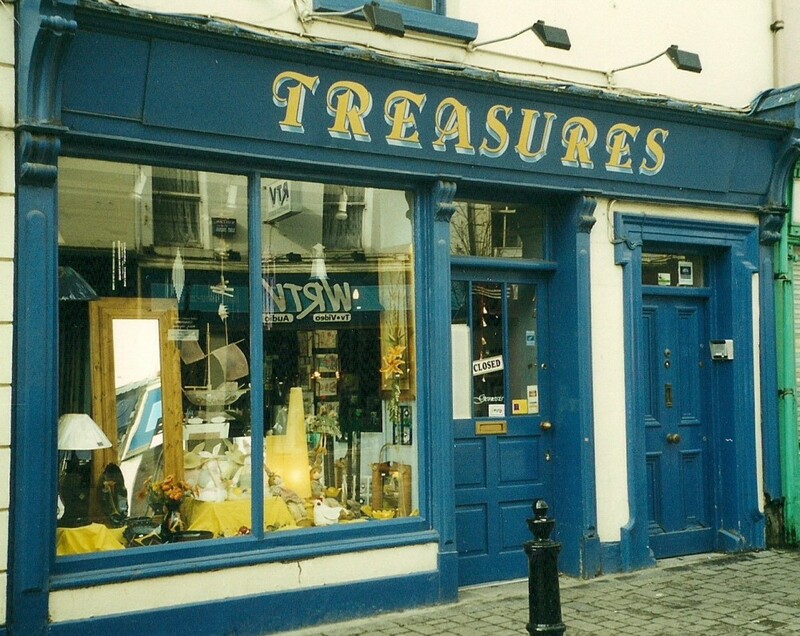 Treasures replaced FBD in 1993. 1 In that year too, she was also connected with other properties further up Main Street.